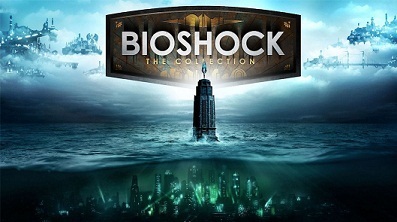 Since the release of Bioshock: The Collection, many players have been faced with crashes, errors, the sound is bad and the mouse will not work like you want it? However, these small issues can be fixed. In our guide, we will show you some solutions which prevent your Bioshock Collection stop crash on PS4 and enhance the experience of the PC version of the first two installments. Especially, the PS4 owners have voiced out their frustration and request for solutions, because the error is not easily acceptable. What happened: you play the Bioshock Collection and want to switch to the PS menu, then the game crashes. The screen freezes and nothing you can do. To work around this issue, there is a hint from the community. Before you press the PS button to enter the menu, you should pause the game. In addition, you can also save your game progress before you return to the menu. If you get the HD version for PC, then you have to cope with the following problems. - Mouse sensitivity: If you mouse too slow or too fast, then you can adjust the sensitivity. To do this visit two folders: C: \ Steam Library \ steamapps \ common \ BioShockRemastered \ Build \ Final (find the DefUser.ini file) and C: \ Users \ "yourusername" \ AppData \ Roaming \ BioshockHD \ Bioshock (find the file User.ini). Here are the numbers IF_MOUSE_LOOK_ENABLED Axis aMouseX Speed = 2500.0 and IF_MOUSE_LOOK_ENABLED Axis aMouseY Speed = 2500.0 both have to change the way you like. - Field of View: If you need to increase the FoV, you need to go to the folder C: Open \ Users \ "individual user" \ AppData \ Roaming \ BioshockHD \ Bioshock. Here you can find the file User.ini that you have to open with the Notepad. Now you can change the keybindings, here you have to try with a few numbers, until you achieve the desired results. - Sound: If you want to activate 5 or EAX, then you have to open the following path: C: \ Users \ "yourusername" \ AppData \ Roaming \ BioshockHD \ Bioshock. Here you can find the file where you Bioshock.ini bEAXEnabled = in EAXEnabled = True and Speaker Mode = change in Speaker Mode = SM_5_1. And now you can enjoy your favorite sound in Bioshock.